This is an exclusive Two-Day Tour of Los Angeles and San Francisco. We will pick you up at your LA area hotel to begin the tour of Hollywood including famous Walk of Fame, Hollywood Sign, Sunset Strip, Movie Stars Homes, Rodeo Drive then onto Santa Monica Pier, Venice Beach, Muscle Beach and breathtaking Malibu along the Pacific Coast Highway. We will then continue up the California Coast towards San Francisco, making stops in Santa Barbara, Monterey & Carmel. The day will end upon arrival at your hotel in San Francisco (hotel your choice, Not Included in Tour Price). The following morning we will resume the tour in San Francisco starting at famous Golden Gate Bridge, Fisherman's Wharf, Pier 39, Colorful Castro district, a chance to ride a Cable Car and ride down famed Lombard Street all before return back to your hotel in Los Angeles. On the return, we will make a stop in picturesque Danish village of Solvang. This is an exclusive Two-Day Tour of Los Angeles and San Francisco. 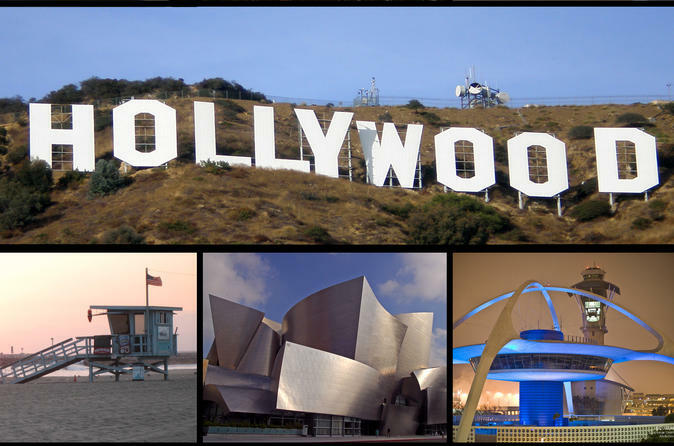 We will pick you up at your LA area hotel to begin the tour of Hollywood including famous Walk of Fame, Hollywood Sign, Sunset Strip, Movie Stars Homes, Rodeo Drive then onto Santa Monica Pier, Venice Beach, Muscle Beach and breathtaking Malibu along the Pacific Coast Highway. There will be plenty of time to take in the sights for photographs and lunch. We will then continue up the California Coast towards San Francisco, making stops in Santa Barbara, Monterey & Carmel for an evening dinner at the scenic marina. The day will end upon arrival at your hotel in San Francisco (hotel your choice, Not Included in Tour Price). The following morning we will resume the tour in San Francisco starting at famous Golden Gate Bridge, Fisherman's Wharf, Pier 39, Colorful Castro district, a chance to ride a Cable Car and ride down famed Lombard Street all before return back to your hotel in Los Angeles. On the return, we will make a stop in picturesque Danish village of Solvang.